Back in the day, the Ford 335 Cleveland family of engines were killer OEM performers. 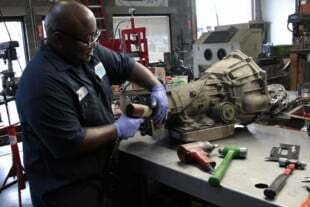 Known primarily for their large intake and exhaust ports, and large, canted valves, the Cleveland family of engines also enjoyed improved engine block technology, including mains that either came from the factory with four bolts, or were easily retrofitted to a four-bolt design. As it was designed with the same 4.380-inch bore spacing as the Windsor series engines, there were aftermarket “Clevor” (Cleveland heads on a Windsor block) creations inspired by the Boss 302 engine, which are still occasionally seen today. Unfortunately for Cleveland fans, by and large time has not been the Cleveland’s friend, as the Windsor engines won the small-block Ford popularity contest. However, there are still people who not only appreciate the Cleveland series for what it is, but continue to tout them as their performance platform of choice. Rick Stanton from sunny southern California, is just one of those people. 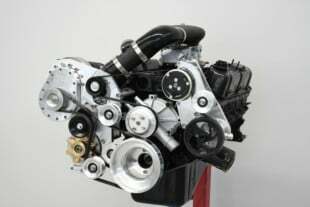 He has assembled a stout 438 cubic-inch Cleveland engine to power his Pro Stock 1971 Ford Pinto (which further tells you about Stanton’s affinity for the underappreciated Blue Oval products). The Jesel Y2K rocker system has a large 2.1:1 rocker ratio, which helps achieve the .788 overall lift numbers. With such solid flowing cylinder head ports, letting large volumes of air in and spent gasses out are key to the efficiency of this naturally aspirated Cleveland. 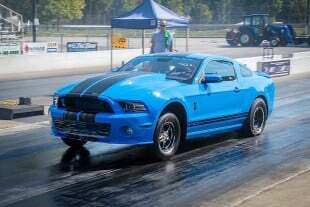 Designed from the outset to be a naturally aspirated powerhouse for the quarter-mile (it was going into a retired Pro Stock chassis, after all) there were no compromises made in the engine’s design and execution. One thing that Stanton considered a compromise would be to stray from the Cleveland architecture in the bottom end. “This is a Cleveland architecture with priority oiling, not Windsor style,” Stanton said, emphatically, at the outset. 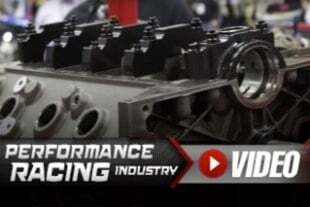 Starting with an aluminum engine block from one of the biggest names in Cleveland aftermarket parts – Titus Performance – Stanton had Russ Fulp Racing do all the machine work to it, to get it ready for him to assemble himself. With a target displacement of 436 cubic inches, the block was bored to 4.185 inches. If you do the math, you’ll find that a stroke of 3.96 inches is required to get that displacement. You might also realize that an almost-four-inch stroke is mighty large for a small-block. Stanton solved this by having Fulp offset grind the rod journals of a 3.5-inch stroke, forged 4340 steel crank down to a 1.85-inch journal diameter. In addition to netting him that extra almost-half-inch of stroke, that smaller rod journal reduces bearing speed, since this engine will be seeing significant RPM. To complement the customized crankshaft, Stanton opted for 6.00-inch Carillo steel rods with the corresponding 1.850-inch journals. Hanging off of those rods are a set of custom JE Pistons forged 4032 aluminum slugs, with a stout dome for a 15.0:1 compression ratio and a 1.2mm/1.2mm/3.0mm ring pack. Coated Clevite rod and main bearings are used in the rotating assembly, and a Roush-Yates Racing five stage dry-sump pump provides four scavenging stages and one pressure stage. A Roush stainless steel dry-sump oil pan with three scavenging pickups compliments the pump, and a Cloyes double-roller timing set keeps everything in time. Stanton has an affinity for using NASCAR parts on this engine. Stanton’s Roush-Yates five-stage dry-sump pump is one of many Roush-Yates parts on the build. Proven to be durable and effective, using parts originally designed for circle track competition in drag racing is more common than the average person might think. Up top, are a set of Ford Motorsports C302 cylinder heads, which have been worked over by Roush-Yates Racing. The intake ports flow 382 cfm at .750-inch of lift. The combustion chambers are filled with a 2.150-inch, 7mm-stem titanium intake valve, and a 1.60-inch, 7mm-stem titanium exhaust valve. Controlling those valves are a set of PAC Racing valvesprings. 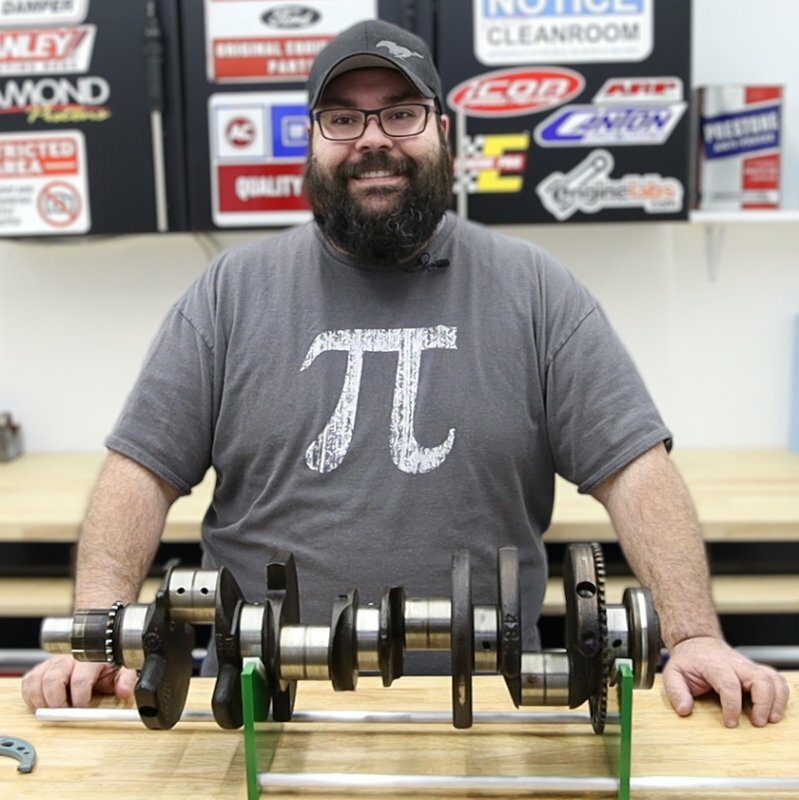 A custom Crower solid roller camshaft featuring 268 degrees of intake duration, 272 degrees of exhaust duration – both at .050-inch – and .788-inch gross lift, sits in roller cam bearings. Riding those cam lobes are a set of Crane Ultra-Lite lifters, topped by a set of Roush-Yates 7/16-inch pushrods. Those pushrods actuate a set of Jesel Y2K 2.1:1 ratio shaft rockers. Keeping everything sealed up under the intense cylinder pressures are a pair of .042-inch copper head gaskets and O-rings machined into the deck of the block. Topping off the combination are a pair of 1050cfm Holley Dominators sitting atop a Weiand tunnel ram with shear plates, ported by Stanton himself. There are a lot of really cool “tricks” in this engine, like the offset-ground crank. By reducing the diameter of the rod journals around a center-point other than the original journal centers, Stanton is able to get almost an extra half-inch of stroke, in the same physical space as the original 3.5-inch-stroke crank. 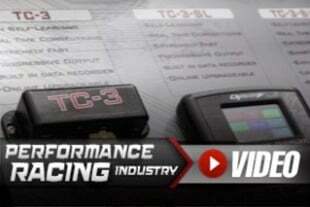 Additionally, the reduced-diameter rod journals reduce bearing speed, key for high-RPM efficiency. Stanton also built the stainless steel headers himself, which says something on a naturally aspirated build of this caliber. A Product Engineering 400 gallon-per-hour electric fuel pump feeds the combination a steady diet of 110-octane race gas, while an MSD distributor, crank trigger, and Moroso wires keep that fuel ignited at the proper time. The result of all the time and effort is an engine that makes right at 2.00 horsepower-per-cubic-inch (2.0056, if we’re being precise), with a peak horsepower number of 874 at 8,000 rpm, and 621 lb-ft of torque at 7,000 rpm, powering his Pinto to 8.30s in the quarter-mile. And for those times when a race might require him to run a single 4160-style Demon carb, he has a tuneup for that; to the tune of 816 horsepower at 7,800 rpm. So while the Windsor may have won the popularity contest in the Blue Oval pushrod small-block arena, the Cleveland is still an extremely capable engine family, and there are still plenty of people out there who prefer the road less traveled. UPDATE! For those of you who are bothered by the music in the Titus Performance dyno video, Rick Stanton sent us one of his personal videos of the engine pulling to 8,400 rpm on the dyno, with no music (other than the sweet song of the Cleveland at high-RPM). Enjoy!